Endoscopic surgery has been used for years in orthopedic, urological and gynecological applications. 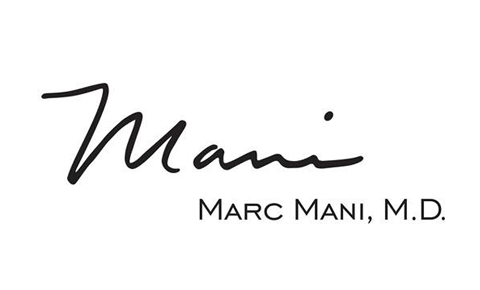 Forward-thinking surgeons like Dr. Marc Mani have started to embrace the endoscopic approach in their plastic surgery practices, specifically for facial procedures like forehead (brow) lift and midface lift. There are significant benefits to the patient, including reduced risk and a shorter, more comfortable recovery period. Endoscopic surgery involves the use of an endoscope: a small, thin probe fitted with a tiny camera and a bright light. The operation is performed on an outpatient basis at our accredited surgical facility. The endoscope is inserted into the treatment area through a small incision. The camera captures images of the face’s internal structures and projects them onto a monitor in the operating room. Dr. Mani watches the screen while moving the tube through the treatment area. Additional surgical instruments are inserted through different incisions to make the necessary modifications. Upon completing the procedural steps, the incisions are closed with small sutures. A great example of endoscopic surgery is brow lift (forehead lift) to erase the signs of aging and create a smoother and more youthful appearance. Dr. Mani makes several small incisions in the scalp and inserts the endoscope and special surgical instruments. He uses the surgical instruments to elevate the brow line, remove excess skin and smooth the forehead skin. Then, he closes the small incisions with sutures. After surgery, some swelling and bruising will occur, but will subside quickly. Most endoscopic brow lift patients can return to normal daily activities within one to two weeks. The endoscopic approach is performed through small incisions (less than one inch long). Forehead lift generally requires three or more small incisions. Because the incisions are small, recovery is easier. You will be back on your feet and back to work sooner than if you were to have traditional open surgery. With endoscopic surgery, there is reduced post-operative bleeding, bruising and swelling. Shorter incisions reduce the risk of sensory loss due to nerve damage. Also, scarring is minimal and likely to be hidden. If a complication arises at any time during the operation, Dr. Mani may switch to a traditional open procedure with larger incisions. This will result in a more extensive scar and a longer recovery period. However, keep in mind that complications are rare. It is estimated that they occur in less than five percent of all endoscopic procedures. Dr. Mani takes all the steps necessary to lower the risks of surgery and capably handle complications, should they arise. If you would like more information about endoscopic surgery and its benefits, please contact Dr. Mani’s Beverly Hills plastic surgery practice. A member of our team would be happy to answer your questions over the phone, or schedule an appointment for you to meet Dr. Mani. Call (310) 203-0511 or send us an email today.